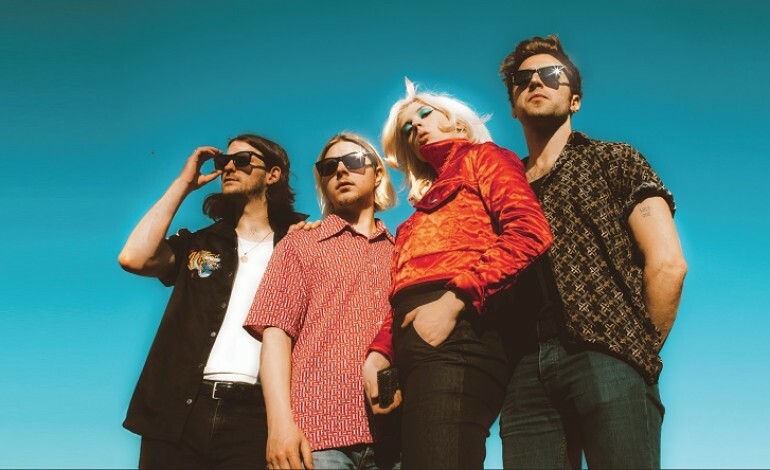 Black Honey are set to depart for their European Tour on 29th April, kicking off in Bedford. The tour will be in aid of their debut self-titled album which was released in September 2018 and reached 33 in the UK Album Chart, receiving positive reviews from critics. Since the Brighton based four piece formed in 2014, the band have quickly grown a large fanbase and actually supported Royal Blood on their tour in 2017. This sudden popularity surge for the group is well deserved, with their album being described as “a knockout debut that showcases their versatility”, but front-woman Izzy B Phillips had expressed some distaste to this idea in the past, “If I had it my way we’d still be a secret band” she told The Guardian back in 2016. Fast-forward three years and the band have their first headlining tour ahead of them, and a 21 track album under their belt. The album explores all elements of indie-pop, incorporating electric disco sounds whilst doing a good job at maintaining a loud and hard-hitting chorus; the staple to any decent indie song. Phillips also worked with Royal Blood singer Mike Kerr to write the track ‘Into the Nightmare’ (alternatively known as ‘Into the Mikemare) – this is definitely the stompy, rock orientated song that the album needed, which was to be expected from Kerr’s influence. The track ‘Midnight’ flits back to the electric feel that we get listening to the rest of the album, featuring synthesised pop vocals and a video almost appearing as though taken from a pulp fiction scene.